Frances Mayes, whose enchanting #1 New York Times bestseller Under the Tuscan Sunmade the world fall in love with Tuscany, invites readers back for a delightful new season of friendship, festivity, and food, there and throughout Italy. In addition to her Tuscany memoirs, Under the Tuscan Sun and Every Day in Tuscany, FRANCES MAYES is the author of the travel memoir A Year in the World; the illustrated books In Tuscany and Bringing Tuscany Home; Swan, a novel; The Discovery of Poetry, a text for readers; five books of poetry; and most recently a southern memoir, Under Magnolia. She divides her time between homes in Italy and North Carolina. Visit France Mayes’s blog at www.francesmayesbooks.com. "A love letter to Italy written in precise and passionate language of near poetic density...A book to treasure, as the author so clearly treasures the life she engraves on our hearts." 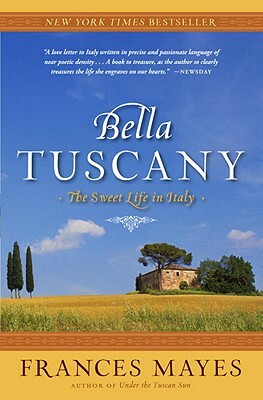 "Fall in love again with the charming people and countryside of Cortona in this evocative follow-up to Under the Tuscan Sun." "Mayes displays a gift for conveying everyday life through her writing...Perfect for those with the yen but not the means for a second home...Mayes presents a simpler, less frantic version of how to live one's life." "Frances Mayes is, before all else, a wonderful writer...She never loses sight of the fact that millenniums-old Tuscany, with its immemorial customs and folkways, is not to be domesticated or made familiar. Her Italy remains intransigently foreign, exotic, a continuing revelation of strangeness and unexpected beauties."